The Iron King is an imaginative and exciting young adult novel by Julie Kagawa. It is a page-turner that follows the adventures of Meghan Chase as her brother is abducted by fey and she must travel to the land of Nevernever to rescue him. With suspense, enchanted forests and magical creatures, The Iron King is also a romance novel that should attract fans of the Twilight, Vampire Academy and House of Night series. I reviewed The Iron King in January 2011. Sunday Express and publishers MIRA Ink are teaming up to offer 1,000 free eBook copies of The Iron King. Visit the Sunday Express website to find the download link as well as the code required to claim your free eBook. The giveaway is not exclusive to just Sunday Express readers so go ahead and get your free copy of this exciting novel today. 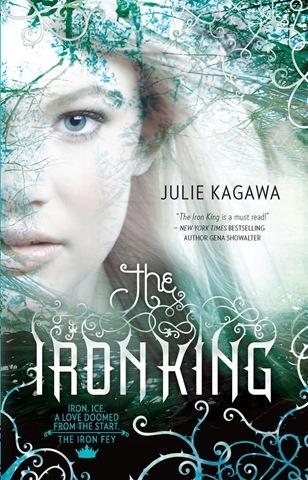 The Iron King is the first novel in Julie Kagawa’s The Iron Fey series. Below is a trailer for the series. Article first published as Sunday Express Offers 1,000 Free Copies of The Iron King on Blogcritics.